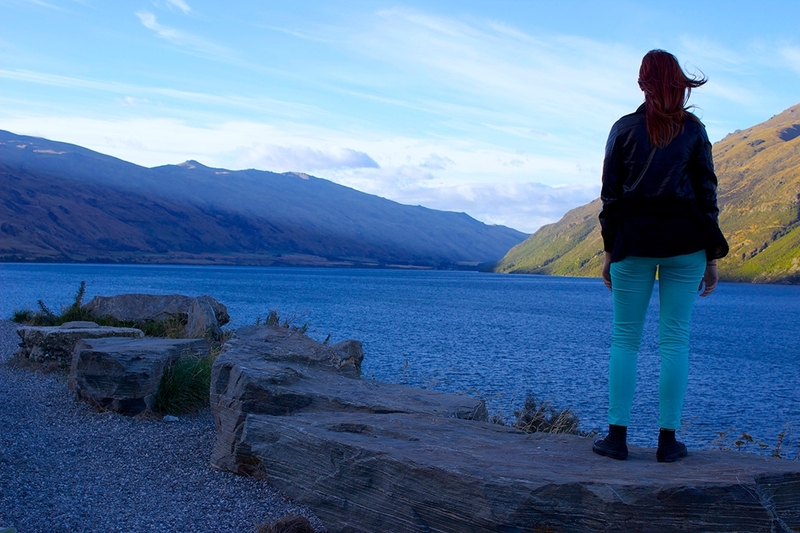 So, if you don’t know already, I frickin love New Zealand! 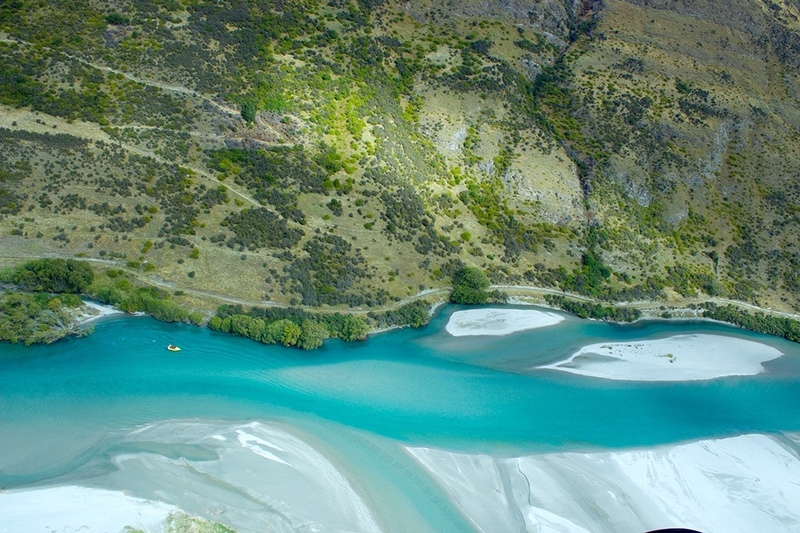 There’s just so much to do, from adrenalin activities like Sky Diving over Lake Taupo, Caving in Waitomo and Hiking on Glaciers, to relaxing drives, cruises and scenic flights. 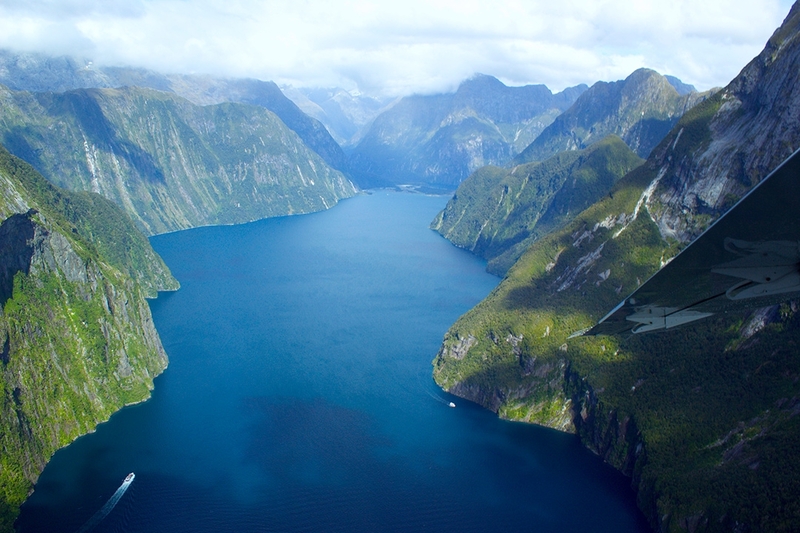 A trip to Milford Sound in New Zealand’s spectacular South Island can certainly tick those last three boxes! 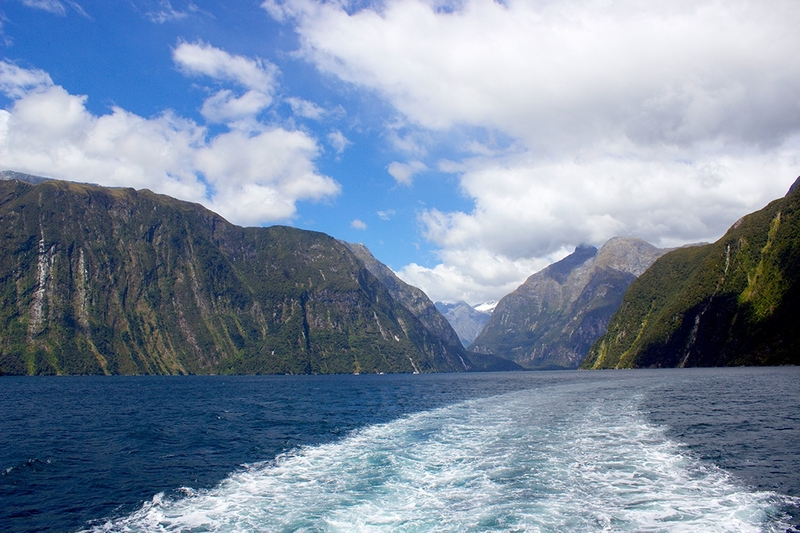 For my Mum’s birthday, we headed over to New Zealand to do the above mentioned crazy activities, however one of the more relaxing things we booked was a coach + cruise Milford Sound day trip from Queenstown. 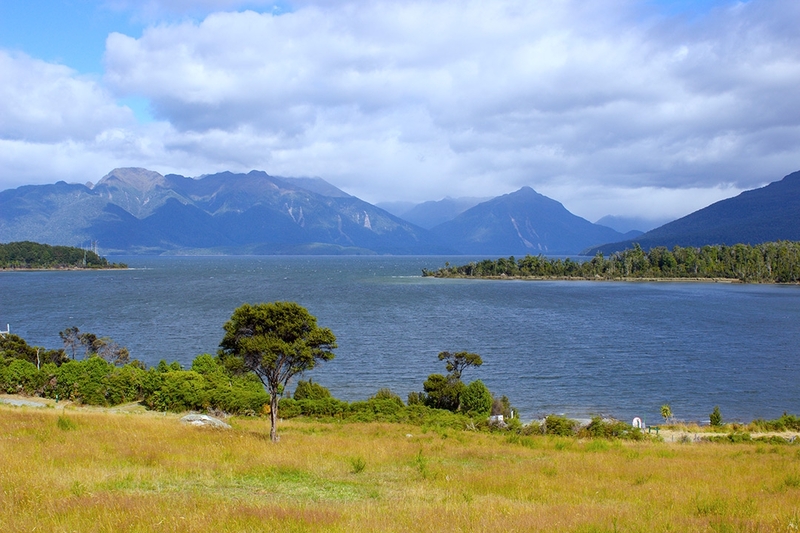 To begin, we were picked up from Queenstown at the crack of dawn and driven by glass-roofed coach past The Remarkables to Te Anau. There was a quick break for morning tea before setting off again. 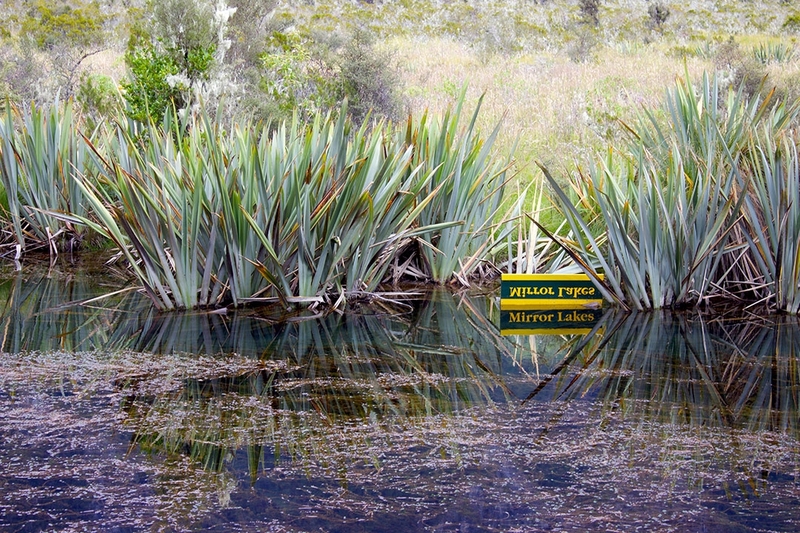 There are a couple of sightseeing stops along the way, like beautiful Mirror Lakes and the unusual natural carvings at The Chasm, made from powerful waterfalls and rapids over the years. 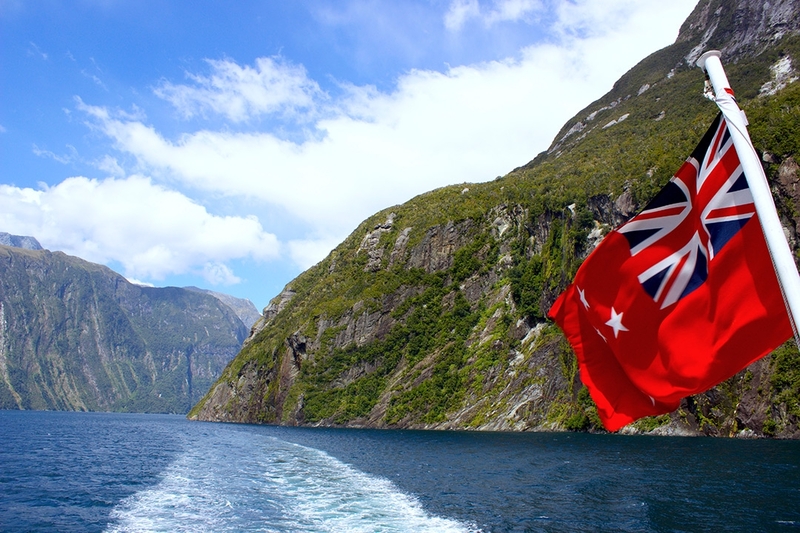 After driving through Homer Tunnel and deep into Fiordland National Park, we reached Milford Sound, where we boarded our catamaran for a 1.5hr cruise around the fjords. There were plenty of seals lounging about and a hell of a lot of tourists! 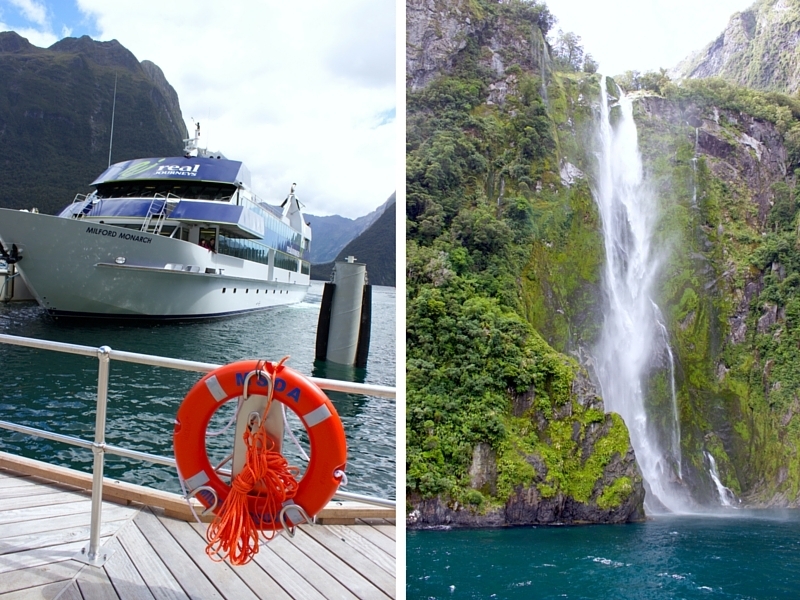 The captain steered the catamaran towards the beautiful Stirling Falls and proceeded to put the front of the boat close enough for the mist to wet everyone! 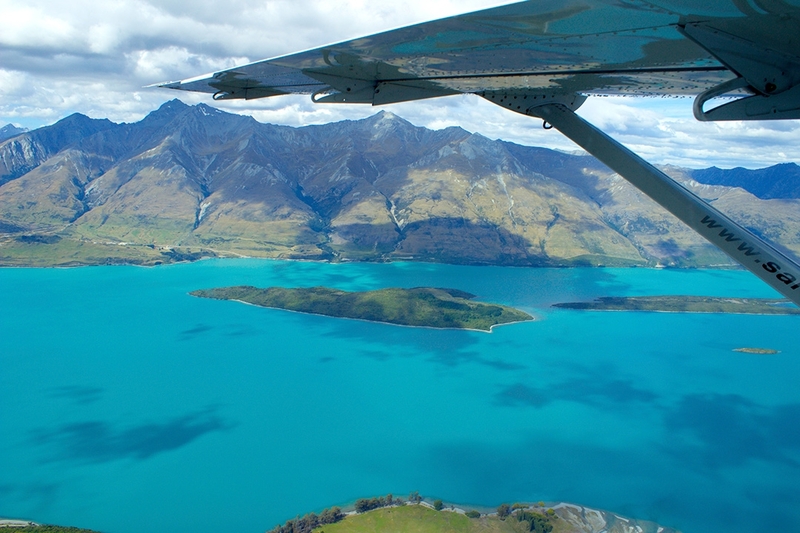 EVERYTHING LOOKS BETTER FROM THE SKY! Well, just about everything… If you can, please don’t skimp out. 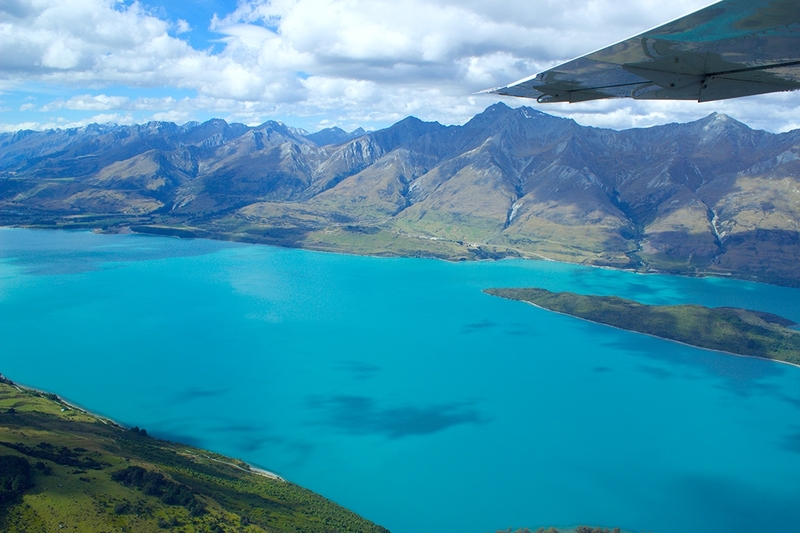 The flight is so worth it! 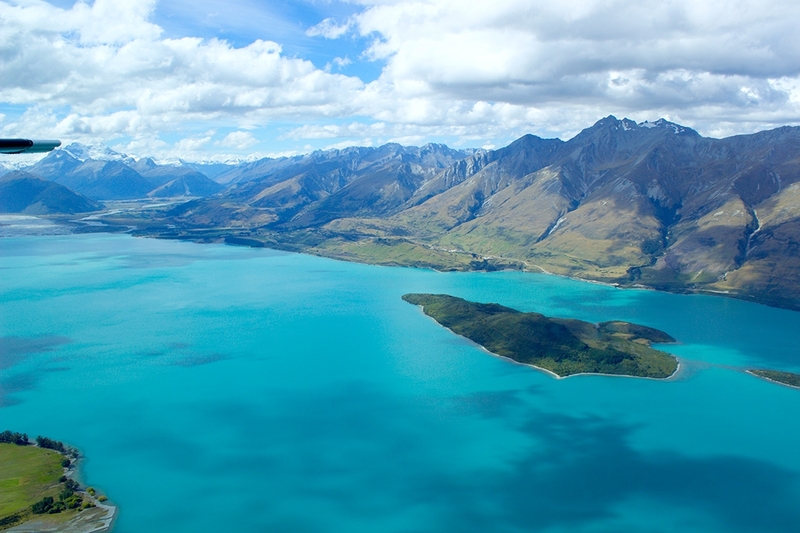 Those beautiful teals and blues that New Zealand is famous for are even more apparent from the sky. 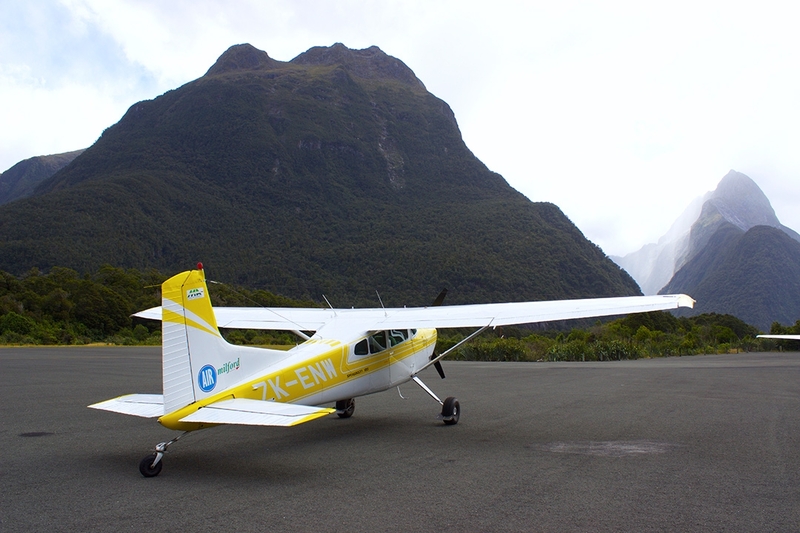 The flight portion of our Milford Sound trip was definitely the highlight of the day (if you didn’t gather that already). 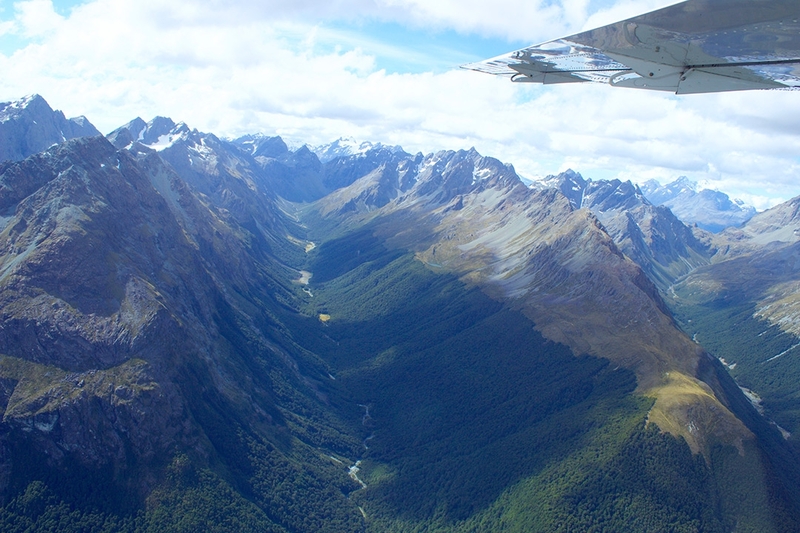 The light aircraft flew close enough to see the snow on top of the mountains and circled around so everyone got a fantastic view, even if I did get a bit motion sick. 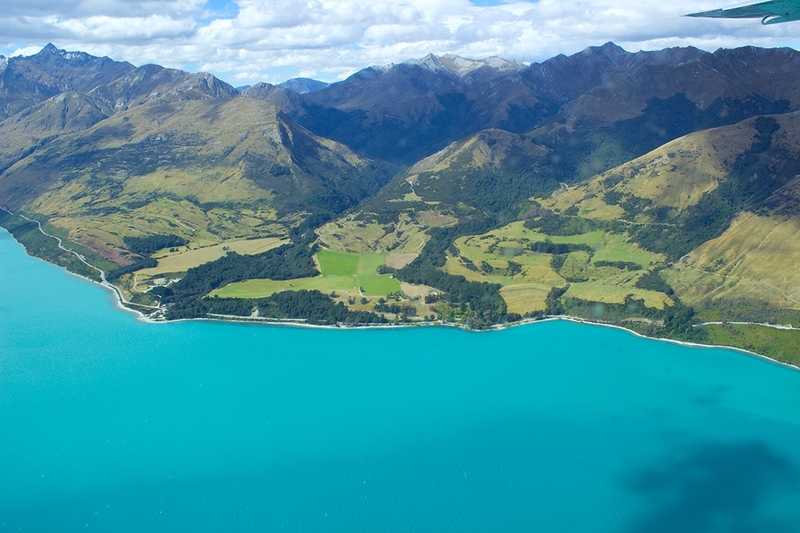 Flying into Queenstown was just as spectacular, highlighting the striking colours of the Shot Over River and Lake Wakitipu. Just a 45min journey, rather than retracing the same 4hr road home was definitely worth the money. 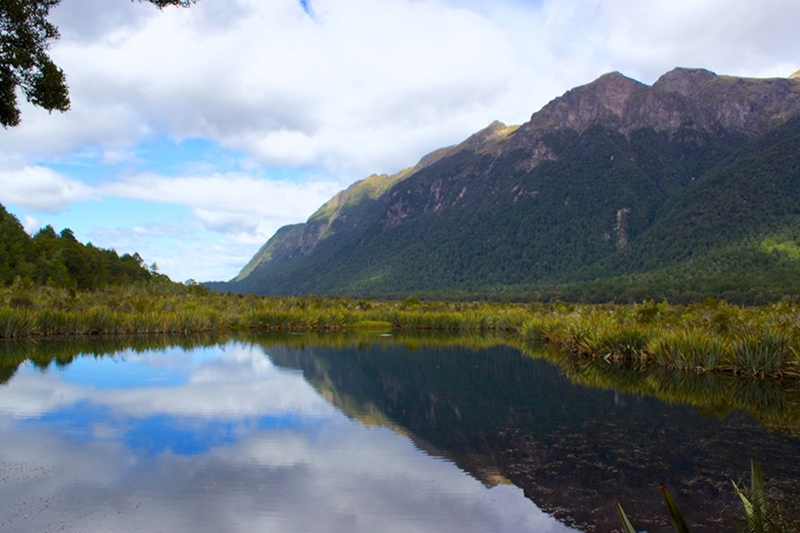 My experience at Milford Sound was very different to that at Doubtful Sound, which you can read about here. 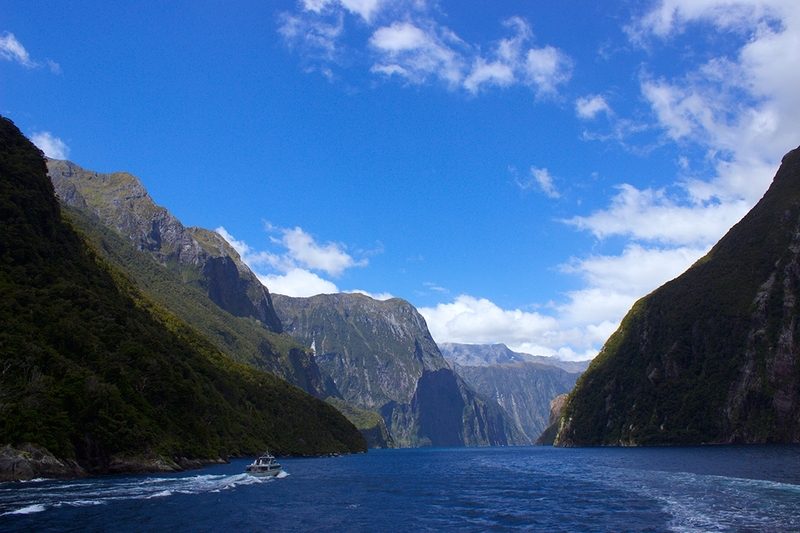 Where Milford Sound was fun, busy and exhilarating, Doubtful Sound was quiet, calming and relaxing. Both experiences were incredible in different ways. 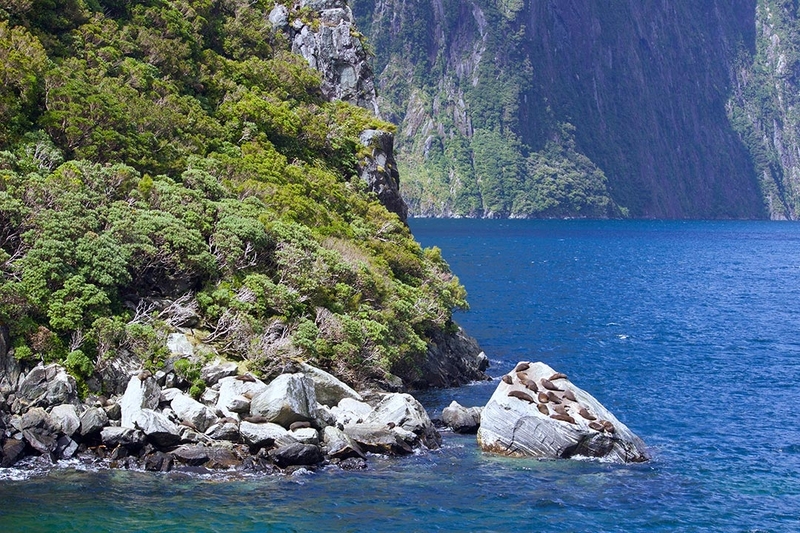 Have you visited Milford Sound or Doubtful Sound before? 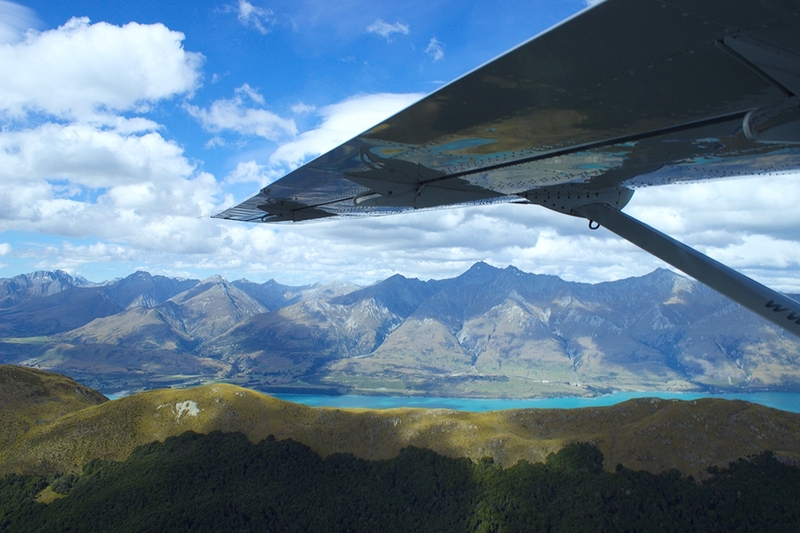 Have you done a scenic flight before? I think I just get a mini heart attack from jealousy! So pretty! Haha I’m glad you liked it! I could say the same for your beautiful photos of the Pyramids of Giza! I went to Egypt a couple of years ago; so amazing! 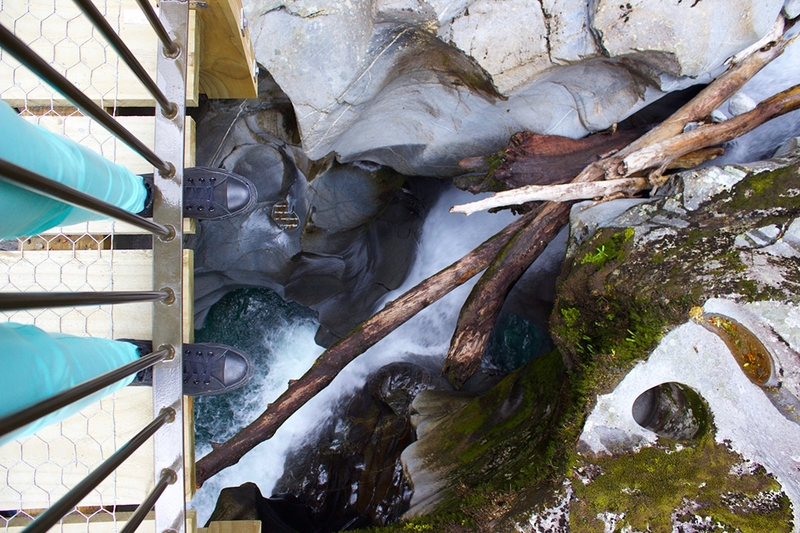 Amazing photos! 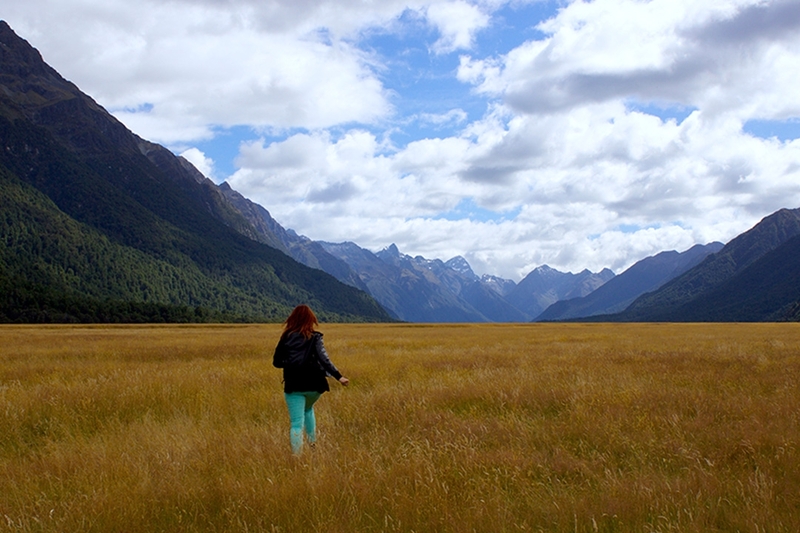 I can’t get over the difference in scenery the weather/season makes when I compare your trip to mine in winter. Next time, I am booking that flight! Thanks! 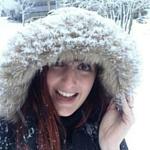 I was pretty lucky with the weather this time, but that’s not always the case haha. Can’t wait to see your photos Sally!